Showing 3 articles from October 28, 2016. YOUNGSVILLE -- Gov. 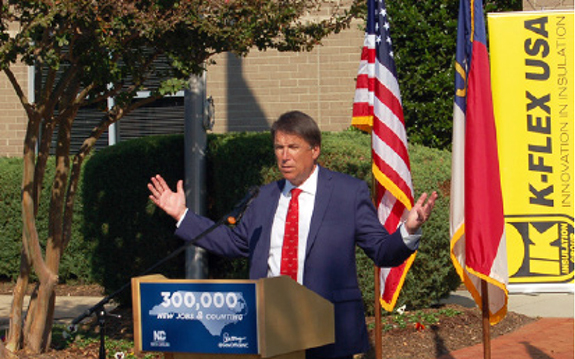 Pat McCrory announced Wednesday that K-Flex USA plans to nearly double in size by adding 100 new jobs and investing $45 million in an expansion of its manufacturing operations. The project will take place over the next four years. "This announcement by K-FLEX builds on North Carolina's legacy of leading the Southeast with the most manufacturing jobs," McCrory said during a facility presentation, which included remarks, a ground breaking and tour of the insulation manufacturing facility. 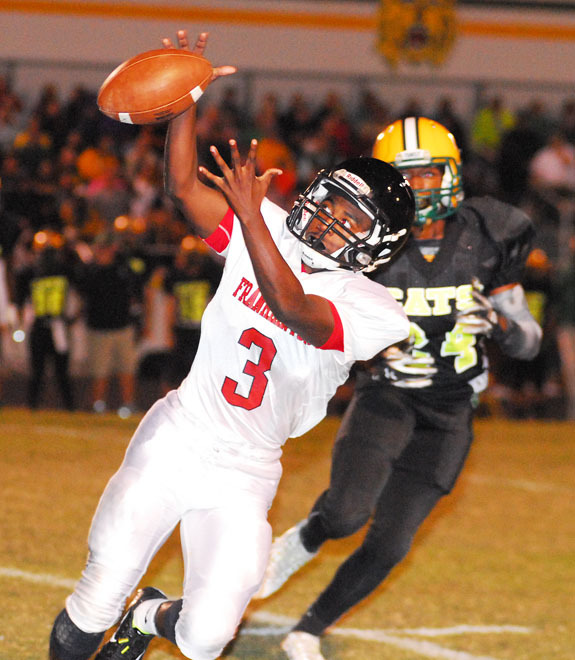 BUNN -- One play was all it took for Bunn to establish control of its Northern Carolina Conference home football showdown Friday against backyard rival Franklinton. AURELIAN SPRINGS -- Things were close for one half, but Louisburg took charge and went on to secure a key Tar-Roanoke Athletic Conference football victory Friday at Northwest Halifax. The Warrriors led by just eight points at the break but were dominant the rest of the way en route to delivering a 49-12 road triumph over Northwest.